Heavy Rotation: 10 Songs Public Radio Can't Stop Playing Let our panel of public radio hosts turn you on to new music by Raury, Dafnis Prieto, Nathaniel Rateliff & the Night Sweats, Lianne La Havas and more. Atlanta rapper Raury's "Devil's Whisper" is a powerful song that flirts with gospel and folk, says World Cafe's David Dye. Every month, we ask a group of public radio hosts to turn us on to songs they haven't been able to turn off. This month, our esteemed panelists picked an unforgettable cut with touches of gospel and folk from the Atlanta hip-hop scene, a moving jazz tribute to a Cuban bassist, a horn-laden stomp that captures the raw energy of a sweaty summer night and more. Hear all 10 of their favorites below. 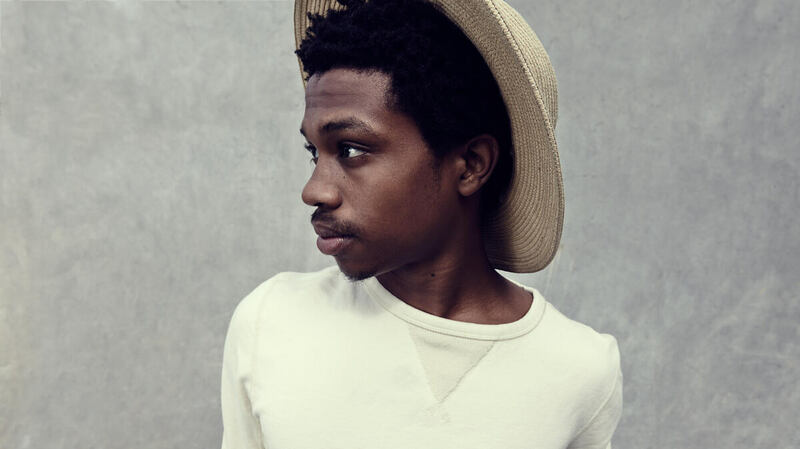 This powerful piece of music from 19-year-old Atlanta rapper Raury flirts with many genres without making a commitment. It's gospel in flavor with folk guitars and a compellingly rapped message. Raury Alexander Tullis comes out of a strong New Atlanta scene of kids who are coming up listening to a wide variety of music and who've been embraced by a strong live-music crowd. 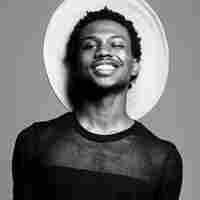 Raury released the Indigo Child mixtape last year and was signed to Columbia Records so fast that charges of being an "industry plant" followed him. "Devil's Whisper" makes me think of Bill Withers, Shuggie Otis and even Atlanta predecessors Arrested Development. To paraphrase Raury, you better run toward this song. In one exuberant turn, Lianne La Havas has created the perfect companion piece to Sly and the Family Stone's "Hot Fun In The Summertime" (the bassline of which is emulated with great affection). Having taken quite a journey from the anger, grit and heartbreak of the song "Forget" from her debut, Is Your Love Big Enough?, she's arrived at the uplifting, soulful pop that makes "What You Don't Do" a sunny standout from her second album, Blood. Though the feelings in these two songs may be at opposite poles, La Havas remains confident and strong to the core in her new music. In this song, she's glowing, her voice as rich as ever. 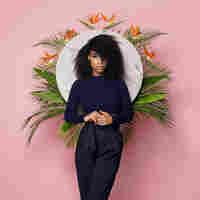 As the song builds to a hands-in-the-air crescendo singalong, there's no doubt that Lianne La Havas is a powerhouse with a full heart, creating music that's sweeping, inspiring and downright fun. 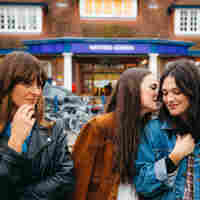 Jessica, Camilla and Emily Stavely-Taylor are The Staves. Hailing from Watford, England, the sisters are incredible performers with unmatched harmonies. The trio's new album, If I Was, was produced by Justin Vernon of Bon Iver, and it is a stunning piece of work with a beauty that connects and cuts at the same time. In a recent visit to New York, The Staves brought those incredible harmonies to our Studio A for an amazing session. "Black & White" is a clear standout, exemplifying what makes this band unique and impressive. Hands down, this is one of my favorite albums and sessions of the year. 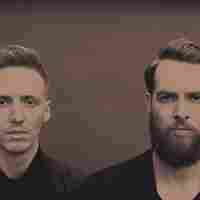 This month I'd like to share hotly-tipped Bristol duo HONNE with you. They recently performed at BBC Radio 1's Big Weekend, Europe's biggest free festival, alongside the likes of Foo Fighters, Taylor Swift and Florence and the Machine. HONNE drew a big crowd to the BBC Introducing stage and performed a set of future anthems, one of the finest of which was "Coastal Love." While we were focusing on the biggest and brightest releases out of London, New York and Los Angeles, a little ol' band from little ol' Huntington, W.Va. has been able to craft a debut single that knocks all else out of the water. 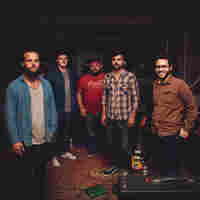 All Songs Considered fans recognized this, picking Ona's single "Ides of July" as one of their favorite musical discoveries of 2015 (so far) — and for good reason. It's an expansive piece from the five-piece band, an indie-rock/alt-folk symphony that seamlessly captures a sense of wanderlust. The band's self-proclaimed "What Would Neil Young Do?" work ethic certainly lays the foundation for the song's catchiness. So does brilliant production by American Minor guitarist turned West Virginia music magician Bud Carroll on this track from Ona's upcoming debut album, American Fiction. I have no doubt that the band will have even more brilliant rock orchestrations for our wanting ears. Carpe diem is a phrase that reeks so much of motivational posters that it's surprising and gratifying it can still hold weight. Austin's Crooks take the idea for a fresh spin on their new album, Wildfire. In a city grappling with rocketing rents and an uncertain musical future, Crooks unabashedly tip their hats to past regional mavericks like Doug Sahm and Esteban "Steve" Jordan. 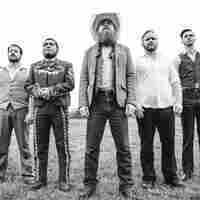 They balance honky-tonk heroism with conjunto and rock energy on the barnburner "Fork In The Road." The song turns a Yogi Berra saying into a call to arms about taking the hard road and making bold choices. It's a kick in the pants that will leave you both sore and grateful. 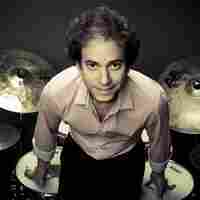 Dafnis Prieto is one of the growing number of young Cubans breathing new life into jazz. The island's rhythms, rooted in Africa, infuse his improvisations and inventive compositions. Prieto's "Flores," from his most recent album, Triangles and Circles, is a case in point. It's a heart-rending homage to bassist Charles Flores, who passed away at age 41 in 2012. Like Prieto, Flores made the most of his early years in Cuba's conservatories before overcoming bans on trade and travel to make his way to the U.S. Cuban melodies weave in and out of this ballad, much as lyric opera hangs in the air over a Louis Armstrong solo. Johannes Weidenmüller's bass solo may move you to tears, and Peter Apfelbaum's melodica offers an element of surprise. It's a fitting homage to Flores, a fallen hero of an extraordinarily talented generation whose contributions to music have only just begun. I first heard this song during a raucous backyard concert where the horn players were literally blowing from the rooftop. With such a memorable first impression, the likelihood that the recorded version could live up to that experience was slim. 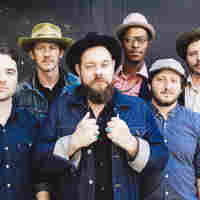 But with the help of producer Richard Swift, Nathaniel Rateliff & The Night Sweats have packed the madness and raw energy of that summer evening into their first single. As the band's name implies, this is the perfect soundtrack to a night of sweaty summer debauchery. Now that these Denver favorites are signed to Stax, we're grinding our teeth with anticipation for their debut album, coming in August. Vancouver band Yukon Blonde is an amazing unit that has honed its harmonious guitar rock sound over many years of relentless touring. The band's songs feature plenty of feel-good throwbacks to eras gone by — specifically, the late '60s through the '70s. Yukon Blonde's new album, On Blonde, boasts an expanded lineup and an expanded sound, which you can hear on this swaggering mid-tempo rock tune. Think ELO, The Sweet or Tom Petty as your musical reference points for this one. 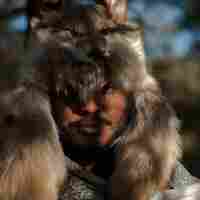 Listening to Thundercat's latest, it's not hard to pick up on the fact that the bass guitar is Stephen Bruner's primary instrument. Elements of '70s jazz fusion and George Clinton-era Afro-futurism abound in "Them Changes," which struts and contorts around a deep, funky groove, demonstrating just why artists like Erykah Badu, Kendrick Lamar and Flying Lotus enlist Bruner to fill out the low end of their songs. But the real discovery here is Bruner's voice, which glides along and almost evaporates into the ether behind the understated piano, hypnotic sax and ever-popping bass line. Those mellow "Ooh, ooh, oohs" are just enough, and yet they leave you wanting more.